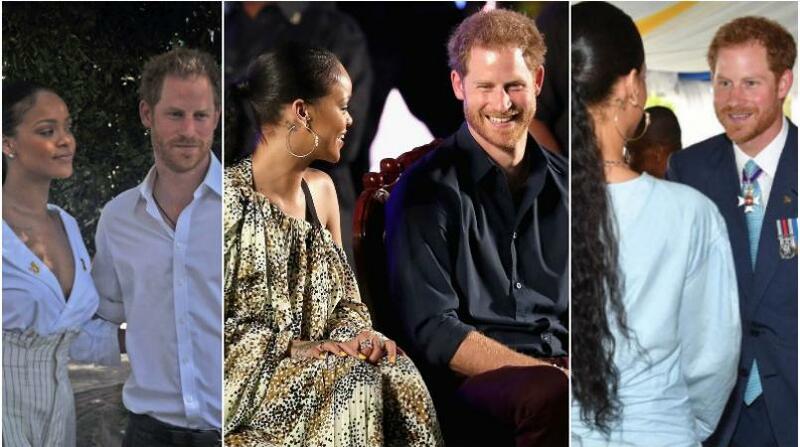 There's no indication that Prince Harry and Rihanna have found love - after all, Barbados is not a hopeless place. But that has not stopped the fans from their wishful thinking! As the Bajan pop princess and the British prince met in Barbados for the first time this week for Barbados' 50th Anniversary of Independence celebrations, many have been talking about ‘When Harry met RiRi’ but have you seen the sequel, ‘The Secret in Their Eyes’? The two toasted Rihanna's homeland of Barbados - first at an exclusive reception and later at a concert in front of 20,000 people - sharing smiles, giggles and full laughter. They also came together for a very important cause on World AIDS Day (December 1). The two young stars set a great example by getting an HIV test done together - an activity that was seen by millions around the world. Prince Harry was set to leave Barbados for Guyana on Friday morning as he wraps up his 15-day official visit to the Caribbean. And while #HaRih may not become a reality, their fans are living out their fantasies through their eyes in each and every photo.